In one bowl, stir together the flour, cornmeal, sugar, baking soda, salt, and cayenne. 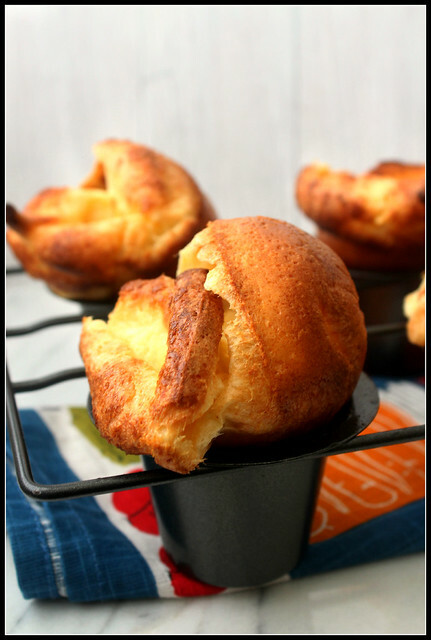 In a blender or food processor, puree the corn, milk mixture (or buttermilk), melted butter, and egg. Pour the liquid ingredients into the bowl of dry ingredients, and stir together just until combined. Heat your griddle to 350° or your frying pan over medium heat. Use a butter knife to run a small pat of butter all over the griddle, or just swirl a small pat of butter in the frying pan until the bottom is coated. Drop 2 tablespoons of batter on the griddle or in the skillet at a time to form one pancake. Let them cook for 2 to 3 minutes, until bubbles appear on the surface and the underside is golden. Flip the pancakes, then cook about 2 minutes more, until the other side is golden. Move the finished corn cakes to a plate and repeat with any remaining batter. 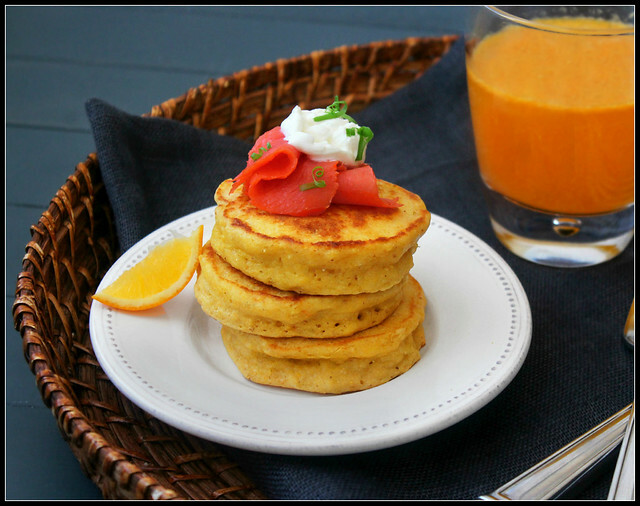 Put two or three corn cakes on a plate, then top with some slices of smoked salmon. Dollop with some sour cream, and sprinkle with chopped scallions. This would be a great brunch for the weekend!